My opinions leach out all over this blog, but hopefully I also provide raw information, spot new trends, help readers make connections to other resources, and even educate my readership about things they didn’t know. The passing on of information by itself doesn’t really guarantee that reading said articles will make any difference in the life of readers. My goal should be to communicate for life change; to write in the hope that the day’s topics and focus is not only interesting but practical and beneficial. People create all types of false personas on social media. I don’t want people to meet me in the real world and find me to be anything less than what my online trail would indicate. That includes the possibility of me deceiving myself into thinking that by virtue of this blog — and its numeric success — that I’m something I am not. In the last few weeks I’ve been getting messages from one reader who feels that the type of things posted in the Wednesday column each week simply aren’t encouraging. I did an analysis of last week’s and found it to be a rather mix of basic links but also containing some cautionary tales. I am to celebrate the good that God is doing, but we can’t bury our heads in the sand, either. The first four questions were probably sufficient, and I could have left it there, but one of the things I long for on a personal level is to see the fruit of the various endeavors that occupy my time. It’s not a matter of looking for validation as much as simply wanting to experience that organic moment when the seed takes root in the lives of people both individually and collectively. I think these are questions we need to ask of anything we’re involved in. Today I’m going to bite the hand that feeds me, I think; or at least one that I feed daily myself. While it takes a lot of smarts to come up with something innovative, it’s really easy to build on the imagination and work of others. Hence, there are a large number of people in the tech community who earn their take-home pay by “improving” websites that, before their input, were working relative well to begin with. The blog platform I have used every day for seven years, WordPress, is in my opinion one of the better ones out there; but recent changes to the text editor used to create new posts causes all manner of liabilities. There is no longer any indication as to when posts are auto-saving, if they are at all. Best bet, I suppose, is to save manually and do it frequently. When you get to the bottom of the visible text area and then go to the top, returning to the very bottom can very difficult. Whether it’s HTML or Visual editor you’re using, the only way to make changes near the bottom of your article is to hit Ctrl-minus until the screen shrinks to a size that it deigns to show you the entire post. You might decide reading glasses are in your future at this point. Your categories display alphabetically, but if you have many — I think I have about 25 — they are impossible to view beyond the first half dozen. In the past, I would create tags first, and then decide which of my recurring categories were suitable. No longer. And then there’s that annoying “Beep, Beep, Boop” every time something is loading. Seriously? There’s no longer an option to return to the classic editor. Not visible, anyway. Blogging can be challenging. Occasionally, something releases before its time, or I have a sentence that is missing a critical word like “not” (Thanks, Lorne) but the new editor, like the revised stats page, simply offers fewer of the benefits I have come to appreciate about composing on WordPress. The first three questions were probably sufficient, and I could have left it there, but one of the things I long for on a personal level is to see the fruit of the various endeavors that occupy my time. It’s not a matter of looking for validation as much as simply wanting to experience that organic moment when the seed takes root in the lives of people both individually and collectively. I think it’s a question we need to ask of anything we’re involved in. Neither are we saying this is the last blog post here at Thinking Out Loud, though perhaps some of you were hoping! If I had just one social media post left in my life, to bring joy and wisdom and love to a sad, stupid, hateful world …this wouldn’t be it. Okay. But what if you had one post left? In the endless stream of social media history you’ve created on WordPress, on Facebook, on Twitter, on tumblr, on Instagram, on YouTube… and on everything else; what if you had One Final Post. Your own famous last words. The thing everyone would remember you by. Note: These words, phrases and sentences are already taken. Related: Two years ago I posted the lyrics to a song I wrote as a much younger person. I was basically asking the same question, “What will my life be remembered for?” It’s a fair question to ask yourself periodically. Did God give me what I’m writing right now or am I making it up on my own strength? That’s a question it’s fair to ask in all areas of Christian endeavor. Am I doing this ‘on my own’ or under God’s power? What about the idea that ‘all things come from God?’ Do I really ‘own’ the concepts and insights shown here. As we closed in on having 700 posts at Christianity 201 last week, for the first time we had a writer who objected to having his content used here. While blog etiquette dictates that you link back to writers’ original pages, statistics bear out the idea that people read the teaser paragraph but don’t click to continue reading. 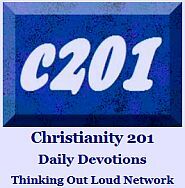 So C201 was created as a showcase — and a bit of a potpourri — of devotional and Bible study writing; much of it from previously obscure blogs that nobody had heard of, whose writers are thrilled to have an additional audience for their thoughts. For several months, a music and book distributor for whom I was I was doing contract work assigned me to help out in royalty administration and distribution. I appreciate that those who have given themselves full-time to writing for major publishers derive their income from sales. I would never dream of photocopying an author’s work and I have strong views about churches which project song lyrics on a screen at weekend services for which they haven’t paid the appropriate license fees. When the attribution is clear, and the readers are given two separate opportunities — and sometimes additional inducements — to click to the original source page, I feel there is a legitimization of one-time use; though a few writers have been featured at C201 on two or three different occasions. The article in question had no copyright indicia, and no page dealing with reprints and permissions. Attribution’s greatest value is that the people can go back to the same source for more insights. If I enjoy what “X” has to say today on this topic, then I may want to read what “X” has to say tomorrow about some other subject. In fact, I’ve had a handful of off-the-blog comments from people who are now regular readers of writers they heard about here at C201 and at Thinking out Loud. I’ve had content used (and misused) on other blogs, and at the end of the day, it doesn’t really matter much. What does matter is how I respond to the “borrowings” at other websites. Do I say, “It’s all good;” or do I fight for increasing my personal empire here at this website? The writer in question also accused me of changing his content. I could see how that would be serious. But in fact, all I had done was to remove links to an online bookseller which left him, in one sentence, referring to “this book” with no remaining hint as to what that book might be; so I took the time to insert the title where the words “this book” had been. I think it was with the objection to that change that the author really betrayed their true motives. Referrer fees from online sales can be fairly significant for a blogger at the end of the month; and I believe it can really cloud a writer’s motives. I simply won’t do that here. I’m not trying to sell you anything. I’m not making money from this, and in fact I don’t draw a salary from my “day job,” so perhaps I have a different attitude toward the need to see everything I do as a line on a profit-and-loss balance sheet. 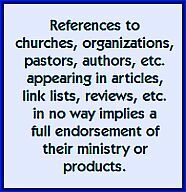 I wonder what the early church would think of what we’ve come to; a world where royalty administrators and agents hash out mechanical royalties and performance royalties and you buy a license in order to share the words to the latest worship songs. I wonder if the Apostle Paul were alive today if he would put a little copyright symbol at the end of each epistle? Would Matthew be expecting dividends from the sales of the Visual Bible DVDs that bear his name? Freely we have received. Freely we give. All that we have and are is a gift from God. And we should keep it open source. Ironically, trying to find a stylized copyright symbol to accompany this article was a challenge since nearly half of them were, in fact, copyrighted. This one above is from an article that also looks at this issue from a balanced Christian perspective. It turns out the “There is no limit…” quotation is making its third appearance here. In addition to the reference linked above, I also used it in reference to Garrison Keillor at this post. To My Fellow Bloggers: Should Your Blog Exist? Last night I was cleaning up some comment-following subscriptions that had been in place for up to nearly three years. Before deleting the subscription, I again read the post and my own comment, and then clicked to see what the blogger had been up to — if anything — lately. In the process, I came upon this piece by Tim Wilson; the item he used when signed off his blog for the last time in March, 2009. For the most part, I think this is quite relevant today as well. Part of being a Christian is having the humility to discern what we can do to best serve the glory of God. So I asked myself: should my blog exist? It is a question you should ask too. In the light of all these tremendous blogs, should yours exist? Reformed guys, how many of you are blogging through the Institutes? Or talking about NT Wright? Or discussing Mark Driscoll’s interview with DL? Be honest, is your blog doing anything I couldn’t find done elsewhere? Is it done in a simpler way or a more in depth way? Does it apply it to the Christian life or to non-Christians? What do you do that’s special? 2. Is it worthy of time? As I’m reading your blog I could be just as easily listening to a Tim Keller sermon, reading John Owen or taking in some of Sam Storms meditations on scripture. Why should I read your blog? Maybe some of us should say less. Are we really worth our readers pouring over our 500 words every day? Also consider, is it worthy of your time? Are you just wasting time writing when you should be studying scripture or reading the giants of the faith? 3. Is it your gift? Read a site like CopyBlogger or ProBlogger and find out what a good web writer consists of. Is this where your gift lies? If it isn’t, why should we be reading your blog? 4. Do you know what your talking about? I decided in my early blog days to blog my thoughts on the trinity, despite knowing hardly anything about it. Richard pulled me up on that and I had to retract my comments. Ever since I’ve (tried) to only blog about what I know. Now don’t get me wrong there is nothing wrong with thinking through your theology. But a blog isn’t a place. Go onto a forum discuss it with others there. But when you type something as a blog, to those who aren’t familiar with the format it seems like you know what your talking about. On the last day all teachers will be judged. Are your posts worthy of praise or judgement? 5. Are you about the Lord’s work? Now I’m not saying “If you’re a Christian with a sports site get it off now”. But are you using your genre to point to Jesus, even in just a small way (i.e. your bio)? Are you building friendships that will lead to souls being saved? If you’re not helping Christians or (more importantly) preaching the Gospel to non-Christians, is your site an opportunity like Jonah to escape from the truth? Check your stats. Check your incoming links. Check your comments. Are you just speaking into thin air or are people actually listening? It might be you have a very small audience (hey we all start somewhere). But if it becomes apparent that no one is listening to what your saying then use your time better elsewhere. Why are you driven to blogging? Do you want to reach out to the lost? Do you want to hone your theological acumen? Do you want to promote good resources? Why are you blogging? Some of us just blog because we blog. We keep sustained by the idea we might get another reader. Well, that’s just people pleasing and it is idolatry. 8. Would you be more useful in alternatives to blogging? Not everyone should blog. But there is an awful lot you can do. Here’s some things I’d suggest. Guest posts/co-blog: You may not have enough posts in your veins to post weekly. Why not give your posts to other blogs? Or even ask to co-blog with another group of people, lessening the pressure on you. I’d love to have you post an article here. Drop me an email (whether you’re giving up blogging or not). Comment: On the big blogs, rarely does the author engage with his commenters. You however can follow up on their comments. You may even be able to correct wrong thinking. 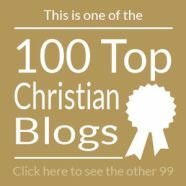 Go to a liberal Christian blog and reveal their errors (in a LOVING way!!!!). Go to an atheist blog and discuss their stumbling blocks. This is a real ministry. Forums: These are great places to ask your own questions and answer other peoples. Internet Chat: Do you remember when chat rooms were cool? Or am I just really long in the tooth web-wise? There are still people there you can witness to and talk to, if you are more personally gifted. Yahoo Answers: This is a net ministry I think would be great to be involved with. People ask personal questions and there is a theology section. Could you answer their questions? Wikipedia/Knol/Theopedia: If you know something about something very particular, these 3 maybe good places to contribute. Amazon Reviews: You know, most people who buy a book will read its Amazon review. However, few sound books have reviews (especially in the UK) and most of the dodgy books’ reviews are glowing. Could you make a difference there? Stumble Upon/Digg: If you’re one of those people who links like crazy, have a look at sites like Stumble Upon. If you write a good review of a blog post or a site you can send lots of traffic that way. There are many good writers who simply don’t have the publicity. Real life ministry: Old fashioned I know. But have you ever talked to your next door neighbour about Christ? Could you be preaching in a real pulpit rather than a virtual one? Does your church need a new Sunday School Leader? Is this for you? Family: Your spouse and children are always your first ministry. Is your blog wasting valuable time you could spend with them?